Would you like some Flammé with your GTO? That was actually only a trim package and a fairly mild one at that (the one-off 1964 show car is rumored to still exist), and it didn’t set the world on fire. But the Firebird-based and V12 Ferrari-engined Pegasus might have—except it was never allowed to be shown publicly at all although some of its influences lived on in actual production Pontiacs. 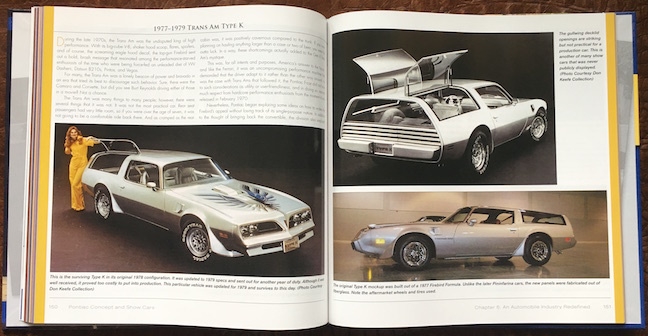 And another Firebird, that most souped-up of Firebirds, the Trans Am, definitely put the Kool into its “Type K” variant: this highly styled station wagon had gullwing doors over its cargo area (below)! If any of this is news to you, this book will entertain mightily. 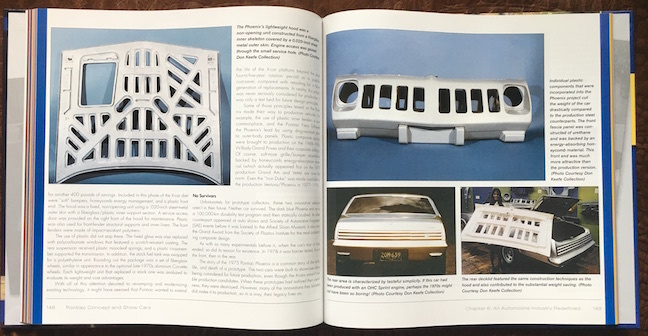 And even if you do know your concept cars, there are tidbits here, and photos galore that will make this book a constant companion. 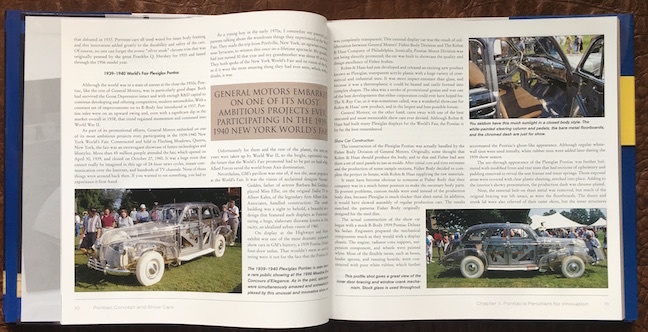 And, certainly, the one car every car person, regardless of their specific interests and affiliations, should know about is the famous see-through Plexiglas Pontiac (below) mentioned in the introductory quote—it survives to this day and it is as inspiring as it is frustrating to observe concours or museum visitors be surprised by its very existence. The book begins with that car, which is more than a decade into the brand’s history, and follows the story up to the 2006 LSX Solstice. Using that particular nameplate as an example it must be said that Keefe has very definite and occasionally radical opinions on many matters pertaining to GM that more temperate souls may find incendiary. This is neither here nor there and in no way detracts from the competence of the writing; just know to expect it. To readers of mainstream car mags, Don Keefe’s name will ring familiar. 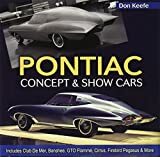 He’s had Pontiacs on the brain—and in the garage—for a long, long time and published extensively on the topic especially in various marque-specific, club-related publications (Smoke Signals, High Performance Pontiac, Pontiac Enthusiast etc.). 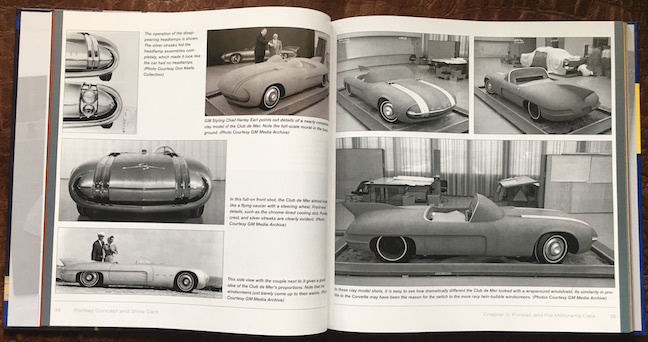 Such an author and such a publisher—CarTech has quite the definitive list of books on US show and concept cars—mean that such a book has everything going for it: solid research, high production values (good paper, printing, photo reproduction), affordable price. 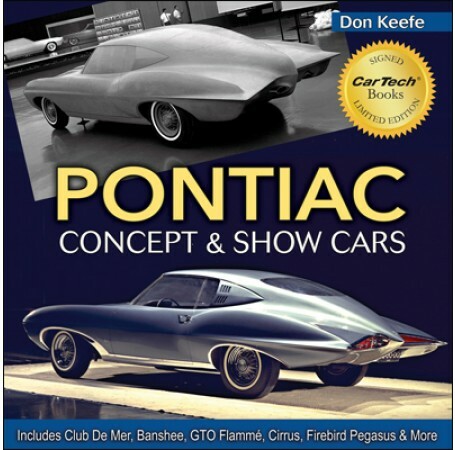 None other than Joe Bortz wrote the Foreword in which he likens the quality of Keefe’s research to a Best of Show winner at a concours and calls this book Keefe’s best yet. 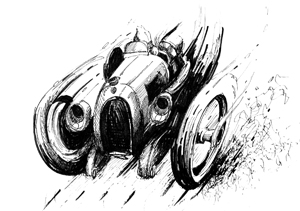 As the proprietor of the ever more famous Classis Dream Car Collection that has managed to acquire so many of the concept cars that were once slated for the crusher he knows better than most what is fact and what is fiction, what has already been said and what is new to the record. Among the latter he certainly counts many of the images Keefe shows here which include design renderings and many photos of clay and other models. 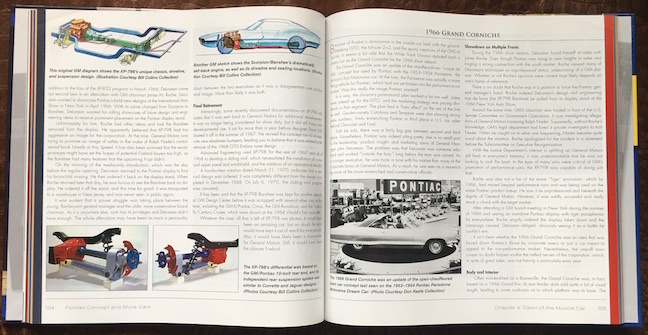 The book is divided into eight chronological chapters, several of which with introductions summarizing specific developments at GM or with cars in general, and each then highlighting up to a dozen individual models in detail. This is by no means a marque history and the reader who will get the most out of this book is one who already possesses such background. 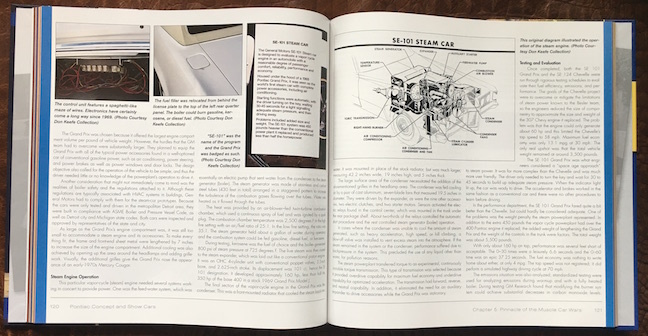 A story such as this couldn’t be written without reference to engineering and mechanical details or minutia such as VINs but the book’s focus on styling (including the designers), materials, features, and ownership history is conducive to a fully fleshed-out, fluid narrative (that said, a proper editor could have brought some polish to the table). No Index. 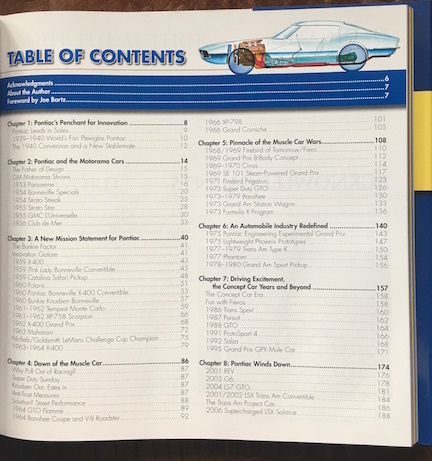 Looking at the riches on parade here (not least a 1969 steam race car, below) makes the fact that GM retired its Pontiac line in 2009 (although it remains a registered and active trademark so don’t be surprised if it comes back some day!) all the sadder. Book collectors should know that the first 100 copies ordered from the publisher were autographed by the author.